There’s nothing quite like being close to the best restaurants in your city, and the good news is that at Summit Riverside Apartments in Littleton, we’re located in a wonderful spot that makes getting to your favorite restaurants a breeze. Colorado’s growing quickly, and that means that more people than ever are moving here from out of state. Allow us to be among the first to welcome you! If you’re new to our neck of the woods, you might be wondering where to eat. Sure, you could Google it and get some good answers, but why not take it from the locals? 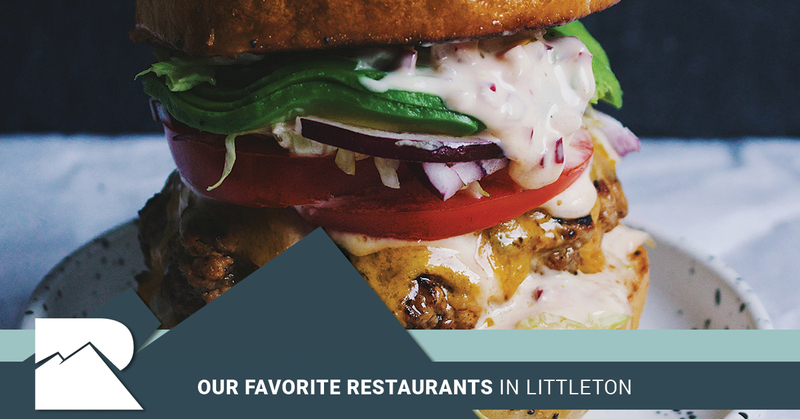 Whether you’re new to our state or just new to our apartments for rent in Littleton, below you’ll find some of our favorite restaurants. Keep reading to learn more! Do you like good food and great wine? If so, Carboy Winery and you are going to be a match made in heaven. This restaurant “works hands-on with vineyards and winemakers from around the world” and they “source high-quality grapes, juice, and single-varietal wine that is then vinted, blended, and aged to craft our select brand of Carboy Wines.” How cool is that! Their food boards and snacks perfectly complement the many wonderful wines you’re sure to enjoy during your visit. Is there an evening activity that’s as good as dinner and a movie? Well why not tackle them both in one go? You can do that at Alamo Drafthouse where you can pick a movie that suits your fancy and then enjoy either classic movie theater foods or pizzas, hot dogs, sandwiches, or even fish and chips. Everyone needs to have a go-to sports bar in their city, and The Castle Bar and Grill might just be the one that’s right for you. With an awesome menu made up of classic pub fare — you have to try one of their burgers! — as well as pool tables, dartboards, and more, its cozy atmosphere is sure to put a smile on your face. With a new burger called The Big Easy that features Creole Remoulade, you know that Wayback Burgers is going to leave you smiling and satisfied. From their cajun tater tots to their many unique burgers to their hand-dipped milkshakes, this is one burger joint that you’re going to find yourself going back to time and time again. They even make a pretty amazing buffalo chicken sandwich that you have to try. Now you know that there’s no shortage of great food places near us, but the good news is that there are plenty of grocery stores, shopping centers, and more in our neck of the woods, ensuring that you’re always close to the things you need to get done. You’ll also be pleased to hear that Summit Riverside Apartments are close to the Platte River Bike Trail, the Littleton Golf and Tennis Club, and Bowles Grove Park. We’re fortunate to be in such a great part of town, and we’re sure you’ll be happy living here. We have a number of different floor plans to choose from and our amenities are second to none. In other words, no matter who you are or what you like to do, you’ll fit in perfectly here! Take a photo tour to get an idea of what you can expect. Like what you see? We’d love to show you around our luxury apartments! Schedule a tour today and see for yourself what makes living here so great. Already know that these are the perfect luxury apartments for you? Apply now. Either way, we look forward to hearing from you and we think you’ll be at home at Summit Riverside Apartments.